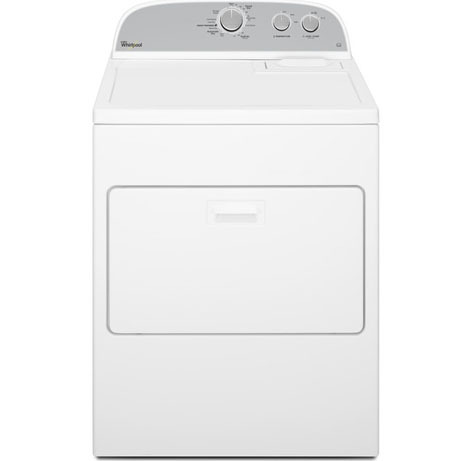 This Whirlpool Tumble Dryer is part of the 6th Sense Range and utilises the classic American top loading style. This Dryer is the professional drying option for businesses that require power-saving options alongside drying consistency together with the massive 15kg Load Capacity. This classic design has outlasted many fads and phases, proving that this Whirlpool unit offers outstanding longevity and you can expect them to last a lifetime. **This product is requires a 30amp hardwired power supply and is not suitable for a standard 13amp plug. A massive 15kg capacity means that almost all of your linen and laundry can be dried at any one time, perfect for businesses that need table linen, uniforms and bed sheets dry and ready with little notice. As is standard, a top loading and removable lint tray is easily accessible for any operator or user, preventing issues that are often attributed to lint build up within drying units. 14 individual programmes can be activated for dialled-in control of your drying procedure, with specialist cycles for the varying clothing and linen being dried within. These programmes are easily managed with effortlessly simple dial controls, which provide audio and visual feedback for quick management before, during and after a drying cycle. Being a powerful commercial unit, you would expect this dryer to be an imposing figure, but instead, it cuts a slimline shadow with surprisingly lightweight dimensions of 737mm (w) x 717mm (d) x 1011mm (h). A deceptively compact unit considering the power and capacity it has been designed to provide, it includes power saving tech to help reduce operating costs when compared to similar models within the range.